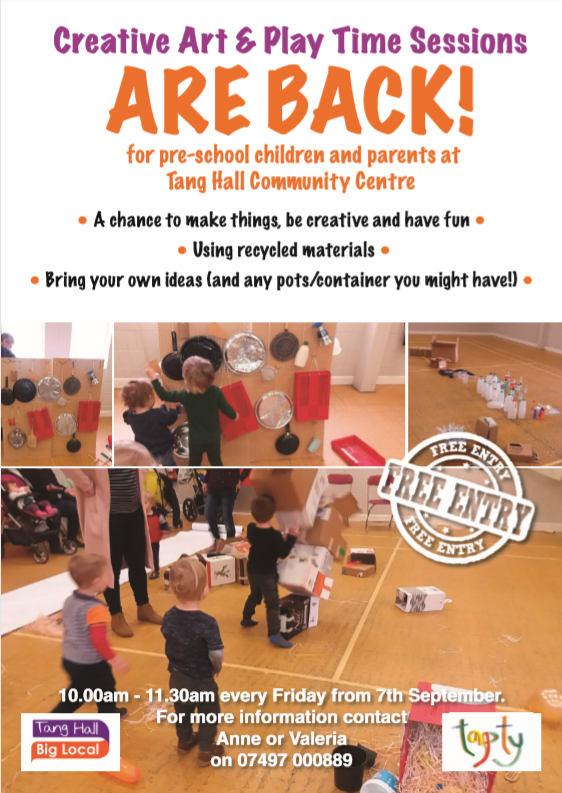 Tapty are back at Tang Hall Community Centre for more creative play sessions for pre-school aged children. Every Friday from 10am – 11:30am. Fore more info, call Anne or Valeria on 07497 000 889.